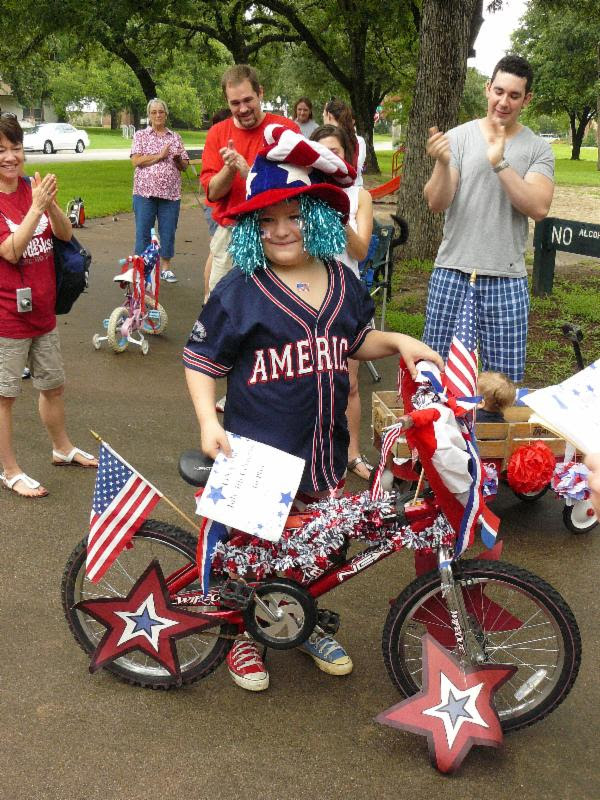 Oakhurst Neighborhood Association, Fort Worth, Texas: Get Ready for July 4th in Oakhurst! 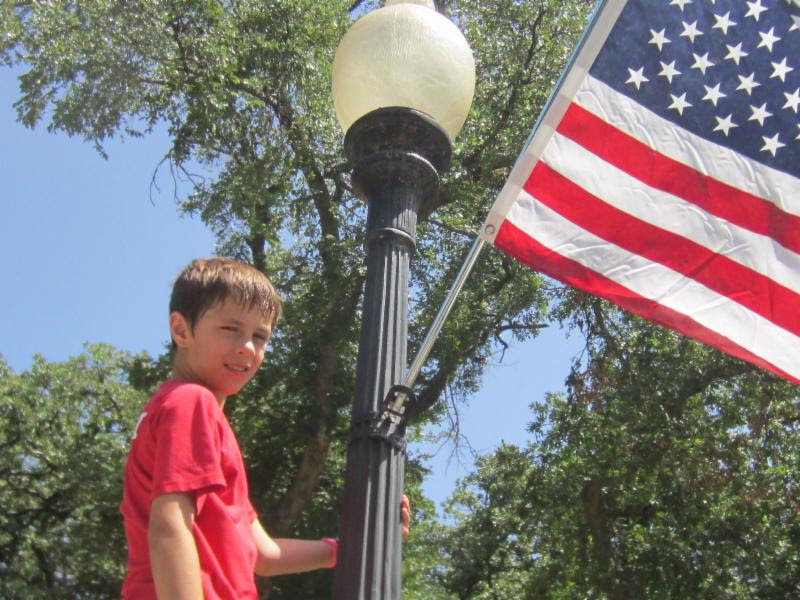 The American flags are flying in Oakhurst, so the Fourth of July can't be far away! Ethan Hodges helping to hang the American flags along Daisy Ave on July 1. Come out to Oakhurst Park at 10:30am on Friday, July 4th for a parade around the park (decorate your bikes, wagons, and baby strollers and join us)! Afterwards, enjoy hot dogs and fixings and cold drinks in the park. Bring your favorite side dish or dessert and have a good old-fashioned July 4th with your neighbors! There will be games for the kids in the park! For more information or to volunteer to help, call event organizer Glenda Shelton at 817.834.7920. She welcomes donations of hot dogs, buns, and 2-liter soft drinks. Bring your side dish or dessert on Friday morning! Join us!! And happy Independence Day!